DPAA, the global organization for everything digital out-of-home, announced today that Sansi North America (SNA) Displays has joined its membership ranks. 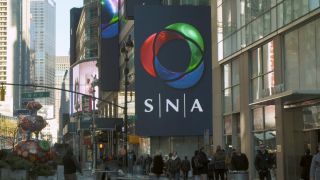 SNA Displays is a leading manufacturer of custom LED display and lighting solutions. The company is one of the largest LED manufacturers in the world, with more than 26 years of LED experience and more than 245 patents across multiple LED technology markets. Barry Frey, DPAA President & CEO, said, "SNA Displays is the company behind some of the most dynamic, eye-catching video screens in the country, from New York's Times Square to Washington DC's Capital One Arena to San Francisco’s Salesforce HQ and L.A. LIVE in Los Angeles. We look forward to helping them network with our community of members." Mitch Leathers, Director of Marketing & Communications for SNA Displays, said, "We see joining DPAA as a great opportunity to grow our business and share our expertise in the digital display space with the world's leading digital out-of-home networks. There are clearly some great networking opportunities and relationships to be had within DPAA, and we’re excited to become a member."